We are unabashed lovers of mugs and everything that goes in them. Coffee and tea, sure, but we're talking expert-level mug-love here. Toddies and fire ciders, soups and stews, cereal and yogurt, we even reach for our mugs when we're crushing up an avocado for a quick snack. 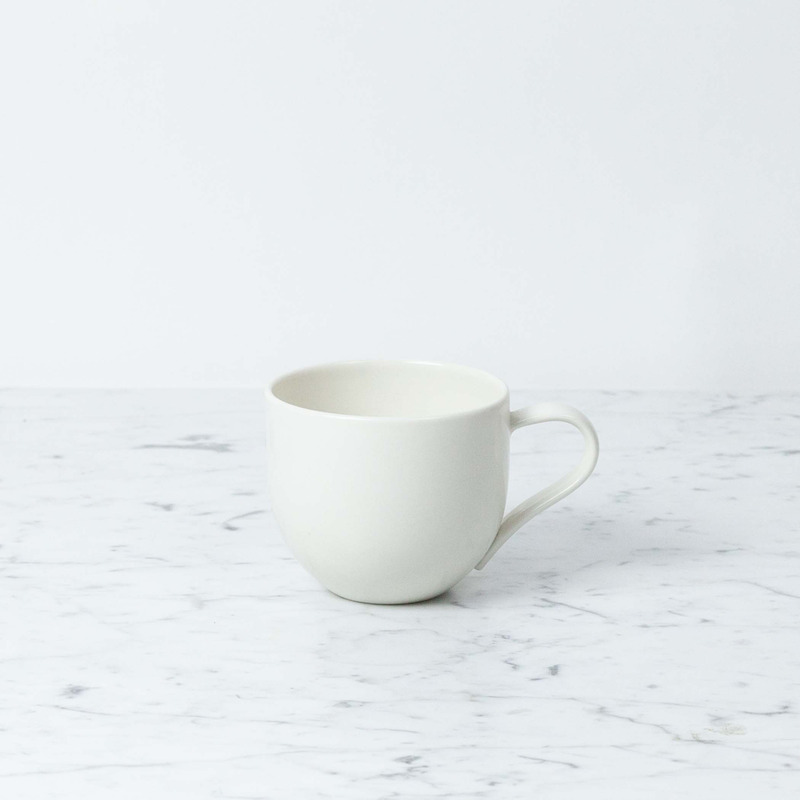 While our love affair with mugs in general isn't necessarily uncommon, we think it grew, in full, from our love affair with this particular mug. The delicate-yet-durable handle. The way it feels in your hand. Its substantial heft (without substantial weight). 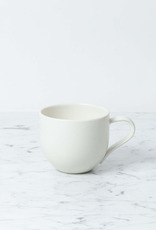 Plus, we'd be lying if we said it wasn't, hands down, the most beautiful mug we've ever seen. Seriously sturdy and designed for everyday use, these mugs are fully finished with an extremely hard, high-gloss clear glaze. The almost luminous soft white color? That's the all-natural hue of the porcelain itself. About John Julian: Hand thrown, fettled (a word we love—it's when ceramics are smooth finished by hand using a knife and a sponge before going into the kiln), glazed, and fired at exceptionally high temperatures, John Julian's simple, beautiful porcelain is lovingly made to last in a small workshop in Wiltshire, England. Designed by artist + sculptor Julian Sainsbury, these silhouettes recall the classic elegant-workmanlike shapes that have been gracing English kitchens and tables for hundreds of years. Stoneware isn't fussy...Go ahead and put it in the dishwasher. Rejoice!